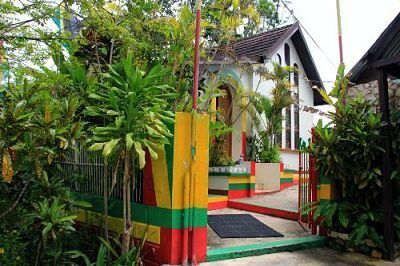 Our Bob Marley Nine Mile experience takes you on a mystical journey to the birth place of the legendary "King of Reggae", the resting place of the legendary Robert Nesta Marley (Bob Marley) who has taken reggae music to the four corners of the world. Experience the meaning of Jamaican hospitality in this small village called Nine Mile. This experience take you to visit the home, burial ground and the place that the King himself gathers his thoughts for his songs, the rock he meditated on. A tasty lunch is included. This experience is out of this world. The ride was very scenic, the experience was authentic, the people very friendly, one of the most cultural experience ever, the tour guide was fun and very informative, it was great learning about the "Legend"